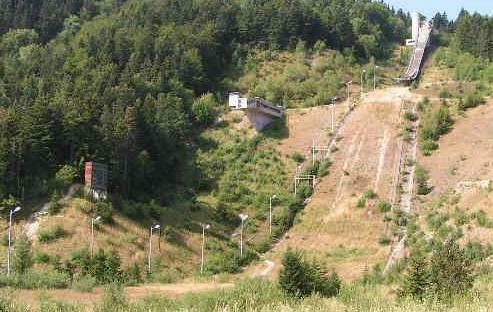 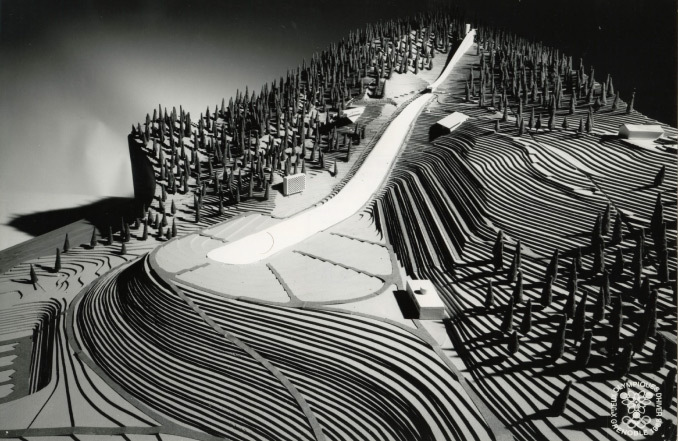 When the decision about the locations of the ski jumping events of the Olympic Games in Grenoble 1968 had to be made, it was clear from the beginning that the 70 meter normal hill should be build at Autrans in the "Le Claret" area, since it was a traditional site and also the cross-country events should be staged there. 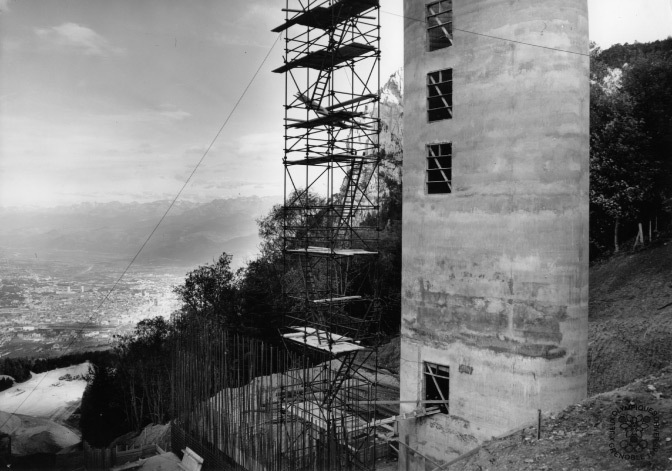 For the prestigeous large hill event a different location was searched and finally Saint-Nizier was chosen, since it offered a snow-secure, wind-protected site with a wonderful view down on Grenoble. 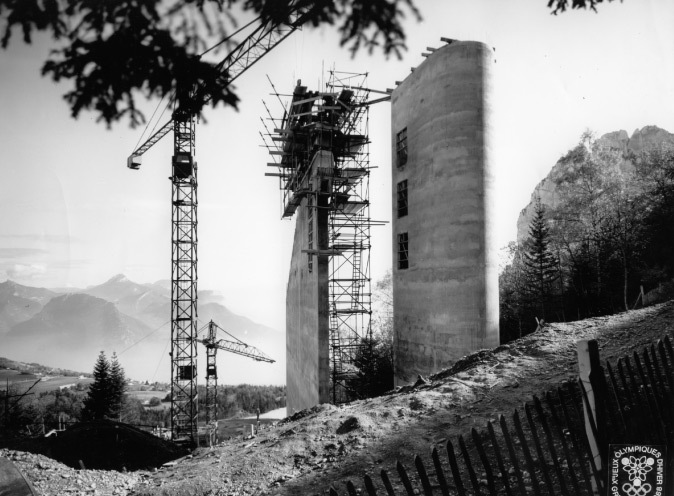 Heini Klopfer supported the architect Pierre Dalloz during the planning of the new hill and in July 1966 works on the 5.9m Francs (about 900k Euro) started. 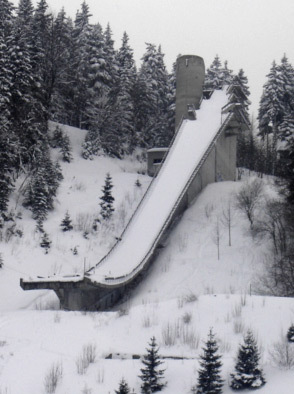 Already in January 1967 the first ski jumpers could try the new "Dauphine" hill. 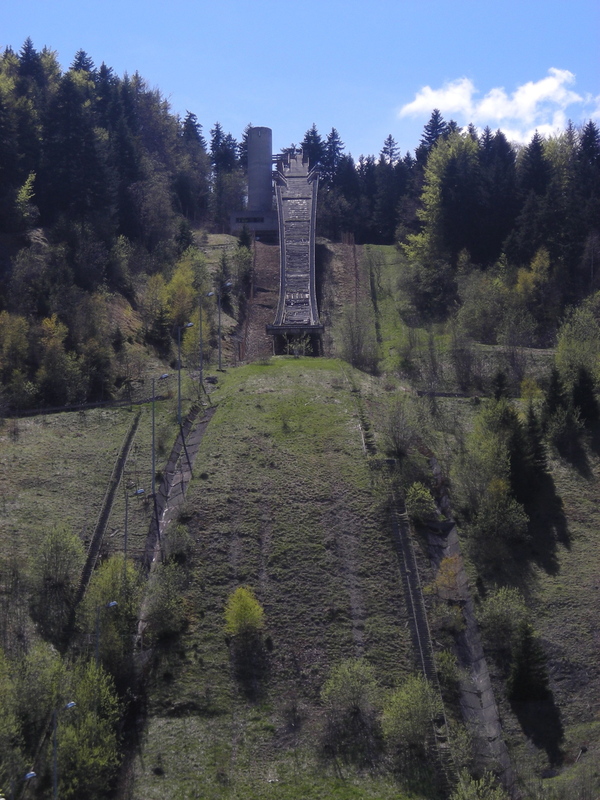 Even during the first trials Max Bolkart flew on 100 m and within the practising rounds for the International Jumpers Week even distances up to 112 meters were realized. 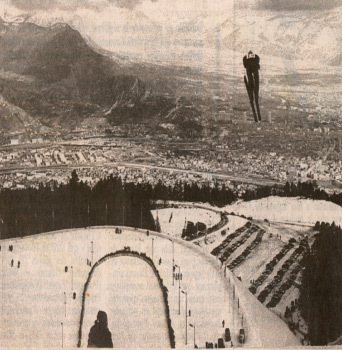 The competition was won by Bjørn Wirkola with 99 m.
Up to 70,000 spectators then travelled to the ski jumping hill during the Winter Games 1968. 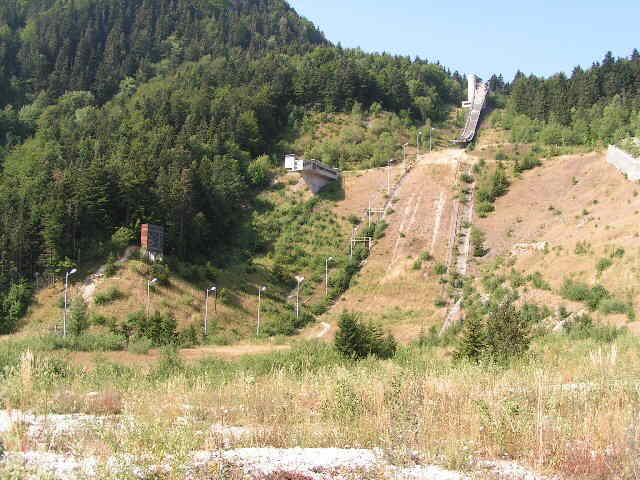 Under wonderful conditions Russia's Vladimir Belussov succeeded with a hill record of 101.5 m, accompanied by Jiří Raška (ČSSR) and Lars Grini (NOR) on the podium. 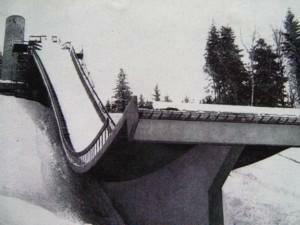 Later the ski jump was converted into K112 and from 1980 until 1982 Saint-Nizier was even part of ski jumping World Cup. 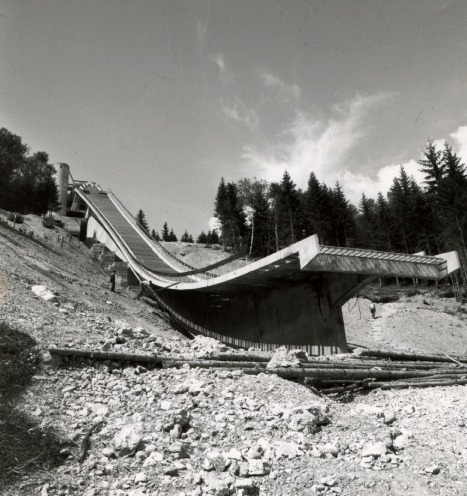 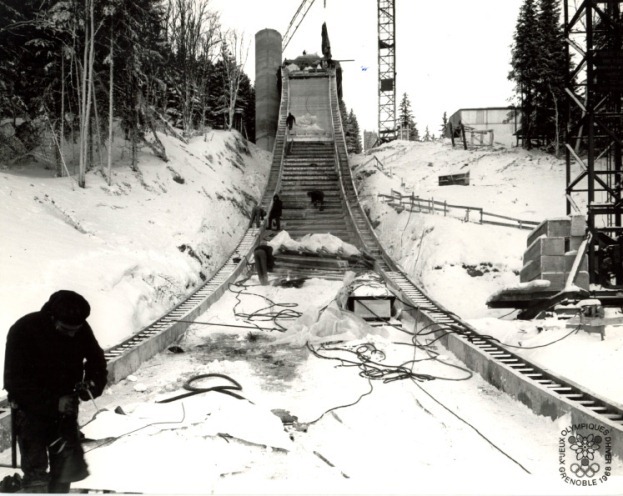 Since 1990 the ski jump has been dilapidating and the concrete of the inrun construction is crumbling. 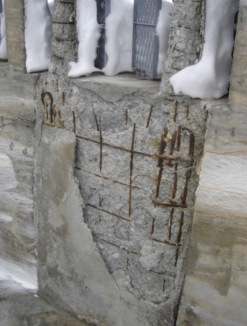 Both, the costs for the dismantling (around 540k Euro) and a competiton-capable reconstruction (ard. 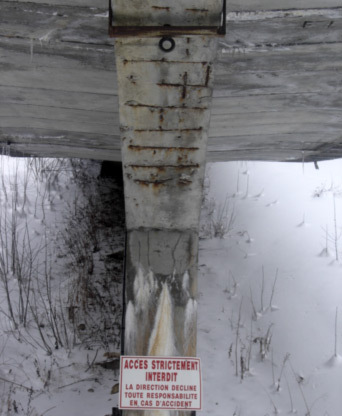 3m Euro) seem to high.